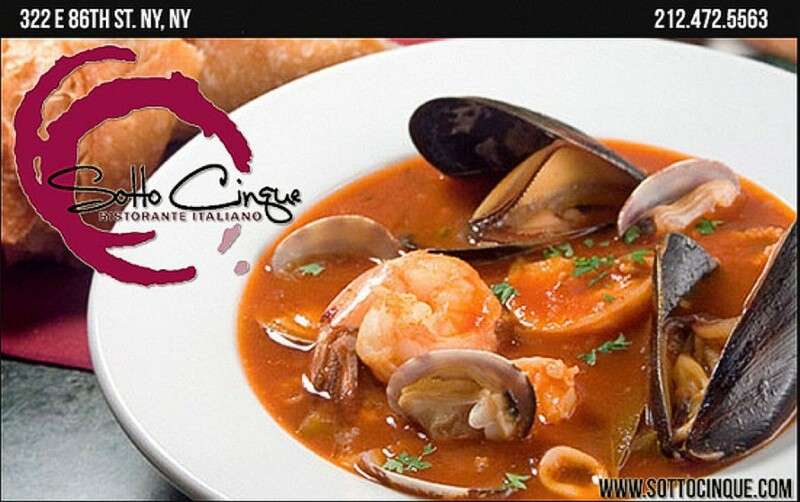 Welcome to Sotto Cinque in NY. A restaurant with character and the charm of eclectic décor; sultry red walls, exposed brick and dark furnishings in the bar, emulating rustic easiness from the get-go. We invite you to an old style southern Italian dining experience, dotted with ivory sconce lighting and candles on the cloth-clad tables; where conversation, down to earth Italian comfort food, and service reigns supreme. Address: 322 E 86th St.